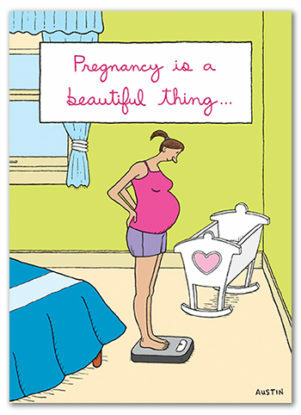 Funny wholesale Mother-To-Be greeting cards with our unique brand of humor. Designs are sold in packs of 6 cards/env (for a full dozen, add 2 units to the cart). 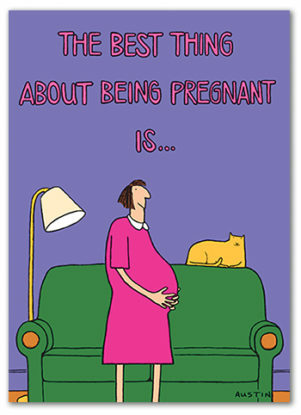 INSIDE: Mostly because it gives you a whole new appreciation for NOT being pregnant. 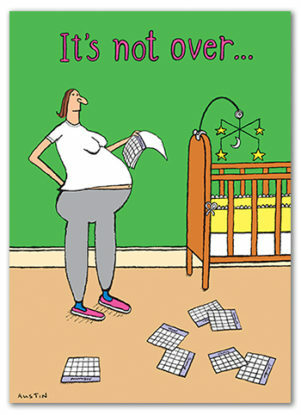 INSIDE: ...'til the fat lady screams! INSIDE: You don't have to hold your stomach in.